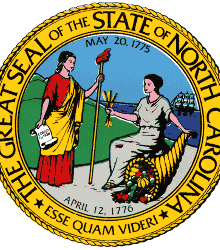 RALEIGH: Today, Governor Roy Cooper appointed new members to the State Board of Elections. *Stella Anderson, of Boone. Anderson was the Board Chair of the Watauga County Board of Elections from 2005-2013 and is a professor at Appalachian State University. *David C. Black, of Concord. David currently serves as the President of H & B Tool & Die Supply. Black also served as Chair of the Cabarrus County Board of Elections. *Jeff Carmon III, of Durham. Carmon is an attorney at the CW Law Group and practices in the areas of personal injury and criminal law. *Bob Cordle, of Charlotte. Cordle previously served on the State Board of Elections until 2013 and practiced law in Charlotte from 1968 to 2018, before retiring from Mayer Brown LLP. *Ken Raymond, of Winston Salem. Raymond is a freelance writer and works at the Piedmont Triad Airport. Raymond also served as the Chair of the Forsyth County Board of Elections.